Today, more improvements have been made to the gallery! The single image view was too cluttered and has been cleaned up. The artwork is displayed much bigger now with compact information! Also there is now a share link display. 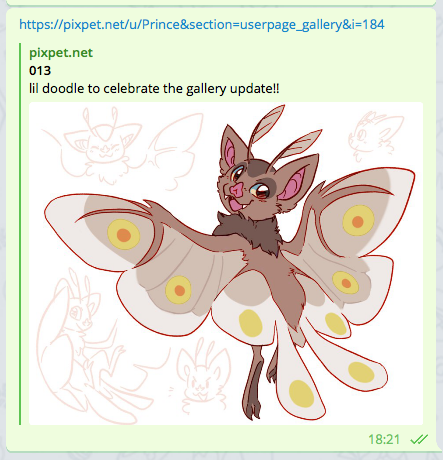 Sharing pixpet artwork will now create a big image preview in Telegram and Discord (and possibly other instant messengers too). The number of gallery uploads would not update when an image was approved. An older visual glitch where a house part would not be shown has been fixed. Wall and floor skins would not replace others when moved from room to room. A critical bug has been fixed that allowed people to create additional items out of nowhere when stacking them together or grade averaging them out. The Average Grades feature has now an item search bar! Hurray! 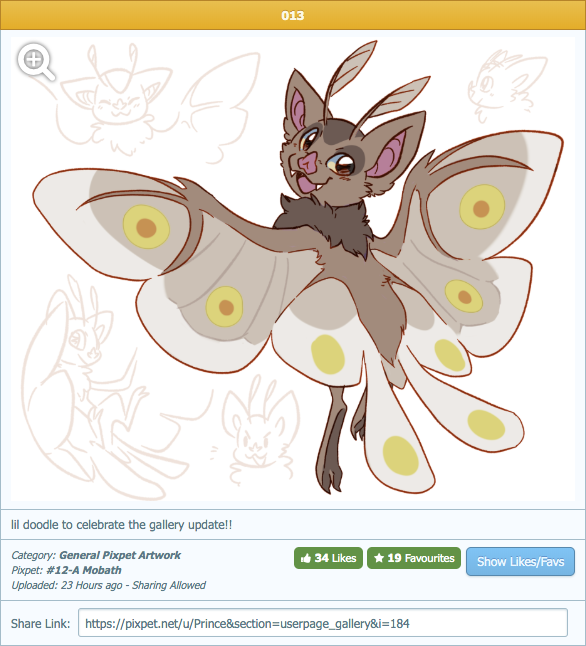 More updates to the gallery, bigger images means more appreciation! And wow, never knew there was a duplication bug, glad that's fixed. Thx for the updates again! good stuff, thank you komodo!